History of New Hampshire. Information that every New Hampshire Senator Candidate Should Know. The colony that became the state of New Hampshire was founded on the division in 1629 of a land grant given seven years previously by the Council for New England to Captain John Mason and Sir Ferdinando Gorges (who founded Maine). 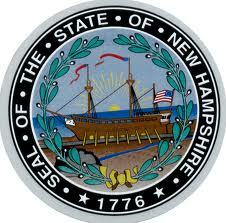 The colony was named New Hampshire after the English county of Hampshire, one of the first Saxon shires. Hampshire was itself named after the port of Southampton, which was known previously as simply "Hampton". New Hampshire was first settled by Europeans at Odiorne's Point in Rye (near Portsmouth) by a group of fishermen from England under David Thompson in 1623, just three years after the Pilgrims landed at Plymouth. The settlers built a fort, manor house and other buildings, some for fish processing, on Flake Hill. They called the settlement Pannaway Plantation. In 1623 the English explorer Christopher Levett, an associate of Gorges and a member of the Council for New England, wrote of visiting Thomson at his Pannaway Plantation. The first native New Hampshirite, John Thompson, was born there. (Note: this was the conclusion of several early historians. However, we now know that John Thompson was baptised at St. Andrew's Parish in Plymouth, England in 1619. New Hampshire was one of the original 13 colonies.